John Mattone is the #1 authority on Intelligent Leadership, the world’s top executive coach (and, the former executive coach to Steve Jobs). 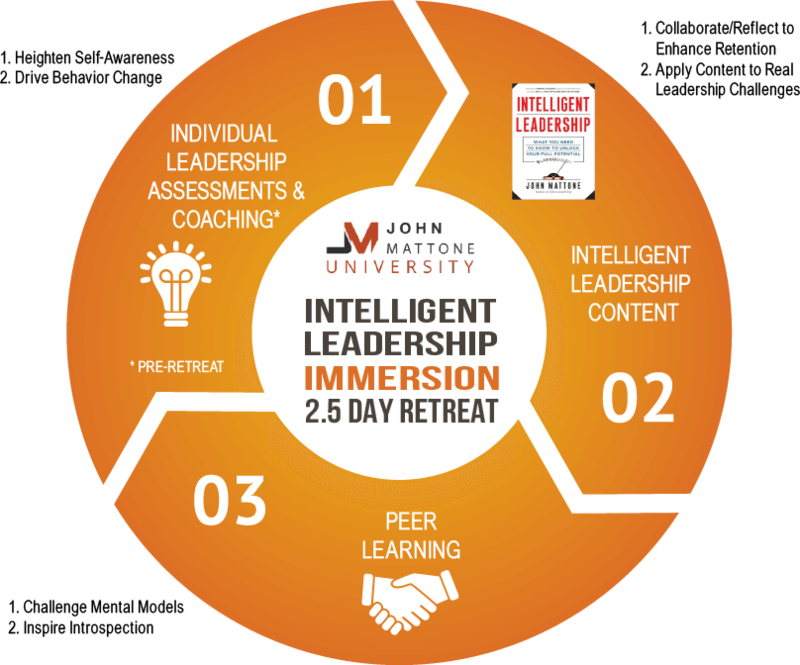 The Intelligent Leadership 2.5 Day Retreat, based on John’s global best-seller, is an intimate and in-depth retreat where high potential and established leaders will discover and drive their personal framework for leadership and personal success. In 2018, the research organization Globalgurus.org, recognized John Mattone, along with Marshall Goldsmith and Tony Robbins, as the top three coaching authorities in the world. John was awarded the prestigious 2015 International Executive Coach Thought Leader of Distinction Award, in recognition of his thought leadership and his work as a global leadership coach. With the award, he received an honorary lifetime Master Corporate Executive Coach (MCEC) certification, becoming one of only four global executive coaches who currently hold this certification. John Mattone’s Intelligent Leadership was named one of the three 2015 Top Advanced Leadership Development Programs that Change Lives (along with programs by Tony Robbins and John Maxwell). Recently, John was named as one of eight finalists for the prestigious 2017 Thinkers50 Leadership Award recognizing the world’s top leadership authority and thinker. In 2013, John was awarded the coveted Master Corporate Executive Coach (MCEC) certification from the Association of Corporate Executive Coaches. 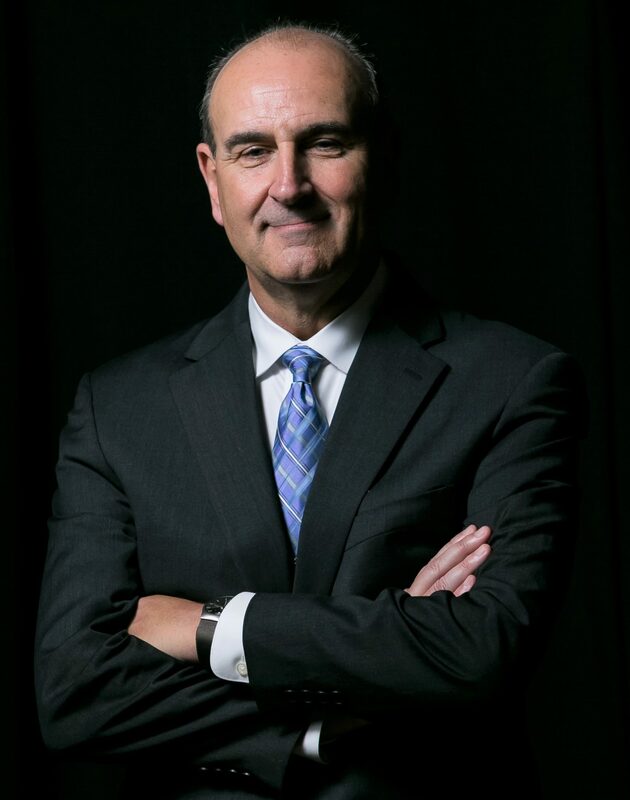 Since 2011, John has consistently been recognized by Globalgurus.org, Thinkers50, Forbes, CNN, LeadersExcellence, Warren Bennis’ Leadership Excellence Magazine, HR.com and many others as one of the world’s top leadership authorities, executive coaches and speakers. John Mattone has coached over 200 C-level executives in his career including the late Steve Jobs and Roger Enrico , the former Chairman and CEO of PepsiCo. WHAT MAKES THIS LEADERSHIP RETREAT UNIQUE? “Working and learning with John as part of his leadership immersion experience provided an incredible experience in personal and professional development. Thank you, John” — Vice President, Sales & Marketing ADT Security Services, Inc. Participants will be scheduled for a 1-hr private Executive Coaching session to debrief on the assessment results and gain an understanding of individual leadership maturity and your unique leadership footprint. How you need to think (and act) differently towards leadership. Day 1 will focus on how you can become a role model of leadership, gauging your level of executive maturity, understanding the “Wheel of Intelligent Leadership”TM and pull it all together into your own leadership framework. Learning is retained through collaborative critique and application to real-life situations. Attendees will prepare an Individual Leadership Development Plan (”ILDP”) using the insight gained from Day 1 of the workshop assessment results, peer learning, feedback from Coach Mattone, and reflection throughout the retreat. Leadership strengths, development and action-plans are finely-tuned. Accountability for leadership growth and development through stakeholder involvement and feedback. Participants will be invited to measure progress against their own ILDP and utilize feedback from three key stakeholders. By measuring post-retreat progress, participants will be able to continue leveraging leadership strengths and addressing ongoing development needs. I would like more informations about John Mattone trainings. We will contact you shortly with information on available trainings, dates and values. Thank you for contacting us.